Hong Kong Disneyland food is an experience that we definitely want to share because we had both lunch and dinner in their restaurants during that one-day trip over there. We had lunch in Starliner Diner located in Tomorrowland (coming soon - link to Hong Kong Disneyland Attractions page) which is more like a Hong Kong fast food shop (coming soon - link to Hong Kong Fast Food page). 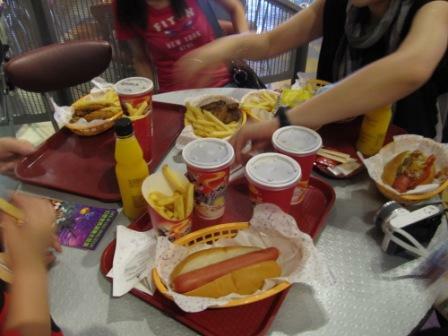 It serves burger, hot dog and chicken tender. Each combo came with a pack of fries. To accommodate the Hong Kong food culture like many western franchised restaurants, it offers you to switch from fries to chicken flavored rice. We visited the Hong Kong Disneyland during October. Both Disney and Ocean Park Hong Kong have Halloween (coming soon - link to Hong Kong Halloween page) specials. We wanted to watch the firework and the Halloween parade. So, we picked this one for our dinner. There were quite a lot of people waiting for the table in front of us. Thank goodness. Less than 30 minutes later, we got our table. The environment and atmosphere of Corner Cafe at "Main Street, U.S.A." (coming soon - link to Hong Kong Disneyland Attractions page) really made me feel like stepping into another dream world. The menu looked good. Then, we placed the order. I particularly remember what Perry, my hubby, told me, "The ribs look really good. I'm going to order that." When the dishes were served, presentation looked great, too. 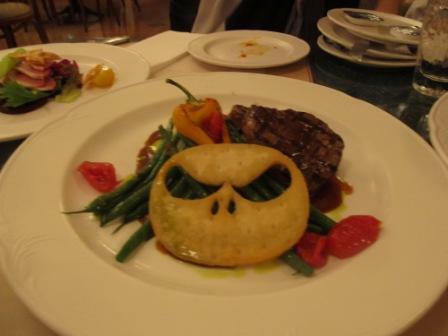 Throughout the whole meal, most of the dishes went with the Halloween theme. 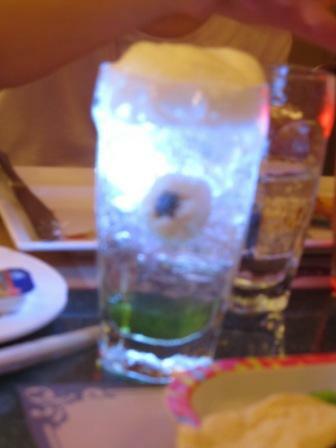 It even used Chinese ingredients to get the right presentation. It was very impressive. 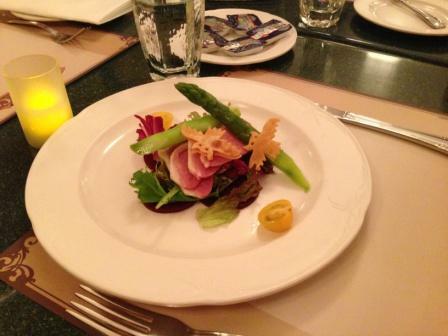 Can you see 2 bats on top of the asparagus spear? But when it came to tasting time, it was a bit disappointing, especially the spare ribs. The flavor didn't get through the meat, not to mention that it wasn't cook long enough to get the meat tender. Part of it, it incorporated some of the Chinese cooking methods. However, it still didn't apply it right. The price was too expensive. The amount was about what we paid for the decent lunch in Ocean Park Hong Kong. But I don't think it is worthy at all, unfortunately. When the dinner was almost over, it was time for firework which is 9pm every night. We just went out to watch. I didn't try all the Hong Kong Disneyland food other than these 2 venues. Unfortunately, I was not impressed. I sure hope that when I go back next time, I would change my review in a positive way. If you try out other Hong Kong Disneyland restaurants and turn out to be good, I would appreciate if you can share your experience with me. Otherwise, I would recommend you to do some good planning before your trip of this theme park and concentrate on their attractions (coming soon - Hong Kong Disneyland Attractions page). 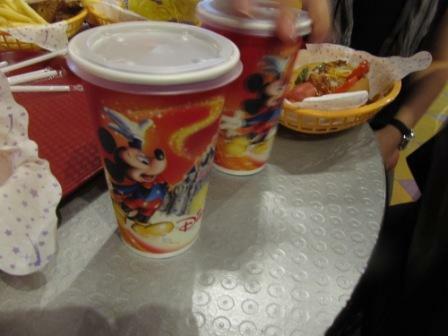 Have you ever dined in other Hong Kong Disneyland restaurants? Share your experience with us. Check out our Facbook page for more pictures.